I have spoken with Matt Margolis, an Elder Law attorney with Heartland Law Firm recently about VA benefits to which people may not know they are entitled. In this posting, he shares some valuable insights that may expand your options for care cost coverage. One very common question that comes across my desk on a daily basis is “Are there any benefits, other than Medicaid, to help pay for the care of my ___________ (insert: mom, dad, husband, wife, brother, sister, etc. )?” Typically, this is being asked because Medicaid is only available for someone in a Skilled Nursing Facility. Because of this, we refer to Medicaid as “nursing home financial aid.” My follow up question to this prospective client is usually asking whether the person they are calling about or their spouse was a Veteran. 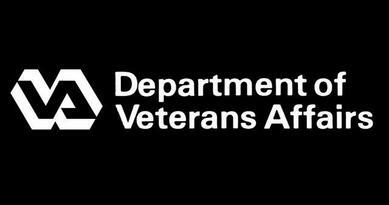 The Veterans Administration (VA) Aid and Attendance Benefit program is the benefit I will discuss with them. In the overwhelming majority of situations, the prospective client has never heard of this benefit. This benefit is actually classified as a “pension” by the VA and is a great source of funds for financially constrained wartime Veterans and/or their surviving spouses to use for their long term care costs such as living at home with a caregiver, adult day care, independent living with a caregiver, assisted living, and/or skilled nursing. While family income is one of the determining factors of eligibility, it is important to be aware that the VA allows individuals to deduct their unreimbursed medical expenses, which includes their health insurance premiums, home care, assisted living, adult day care, caregiver, and nursing home costs from their income. As a result, many Veterans who may not have previously qualified might now qualify if long term care has become necessary for them or their spouse. As a general rule, to qualify for the Aid and Attendance benefit, a family's total assets (excluding their primary residence and vehicles) cannot exceed $80,000. Fortunately, many clients I meet with have assets in surplus of this number. The good news is that with the right strategies and planning, we can still position them to qualify. The benefit is tax free. 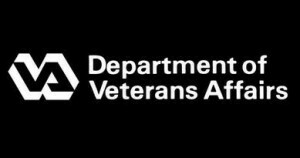 In the end, the VA Aid and Attendance pension is a heavily untapped, but much deserved, benefit for those Veterans and/or their surviving spouses who served and fought for our country. Heartland Law Firm is a holistic elder law and estate planning firm. Heartland Law Firm concentrates in assisting seniors and those in transition with understanding the landscape they are in and what protections and benefits are available to them and their loved ones. Visit their web site at: Heartland Law Firm. You may have heard about some of the changes in how hospitals are reimbursed under the Affordable Care Act (ACA). For instance, hospitals actually are financially penalized if too many of their recently discharged Medicare patients return to the hospital too soon. Most of these repeat visits come by way of the emergency room. I am not going to tell you about what hospitals are doing to keep people from being readmitted inappropriately, but I will share with you when it really can be better for an older adult to avoid the ER for their own health reasons. 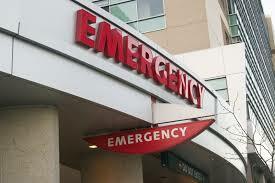 First, using an emergency room when it is not an emergency is expensive. The New England Healthcare Institute estimates that $38 billion dollars a year are spent on emergency room services that could have been received elsewhere. For instance, a person who goes to the ER with an upper respiratory tract infection – flu or flu-like – symptoms will spend about twice as much of their own copays or deductibles than if they had gone to a primary care physician’s office. With millions more now covered by insurance under ACA, the ER simply should not be viewed as a first line response. Second, a non-emergent visit to the emergency room gets queued up along with all the other real emergencies which then gets in the way of providing needed care to the “real cases.” It also unnecessarily exposes the non-emergency patient and whomever brought them to the ER to all the infectious illnesses of the other contagious patients in the waiting area. The old line about the way to get sick is to go to the hospital is not really a myth. Third, consider your options. Even your older loved one’s primary care physician may have an after-hours option. Or you may consider the urgent care centers that are popping up everywhere these days…or simply get on the appointment list with the primary for the very next day. And if you are a caregiver to an older loved one, check in on them between Monday and Thursday so that you can get to the doctor’s or other office on a weekday. Most hospital readmissions I mentioned occur between Friday and Sunday! Fourth, the American College of Emergency Physicians offers guidelines for recognizing a real emergency. If you are a caregiver to an older loved one, look for these signs that it may be time to call 911 or take your loved one to the ER: •	unusual abdominal pain or upper or lower abdominal pain, pressure •	difficulty breathing, shortness of breath, faintness, dizziness •	significant vision issues •	confusion, changes in mental state, suicidal ideation •	coughing or vomiting blood or any uncontrolled bleeding •	severe or persistent vomiting or diarrhea. When in doubt, call your loved one’s primary care provider or make that trip to an urgent care center. And, of course, there can be real emergencies; that is what the ER is for.. Charlotte Bishop is a Geriatric Care Manager and founder of Creative Care Management, certified professionals who are geriatric advocates, resources, counselors and friends to older adults and their families in metropolitan Chicago. Please email your questions to info@creativecaremanagement.com. Many are unaware of the massive scope of the pharmaceutical market and all the ways in which seniors are taking more and more unnecessary drugs because of it. We discuss how caregivers can look out for signs that their loved one’s medication is over prescribed. We also discuss other warning signs people should look out for when buying prescription or over-the-counter drugs. Inside "Caregiver Advice about Bad Medicine"
Learn about polypharmacy and how to protect elder loved ones from it. Dive into many of the ways in which some drugs do not cooperate well with food. Contact us with any question. Receive our FREE white paper: "Caregiver Advice about Bad Medicine." November is National Alzheimer’s Disease Awareness Month, so I am going to give a lot of attention throughout this month to what we know as well as what we don’t know about dementia generally and Alzheimer’s disease specifically. More Americans fear an Alzheimer’s disease diagnosis than fear dying, and that should be no surprise, given that a new Alzheimer’s diagnosis is given every 67 seconds in the United States. 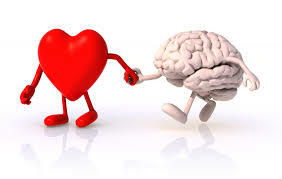 But we should all be cautious in accepting any Alzheimer’s diagnosis for a loved one at face value. Research has shown that 24 percent of diagnoses actually are misdiagnoses. Given that there are about 100 different manifestations of dementia, perhaps we should be surprised that the rate of misdiagnosis is so low? And it is important also to bear in mind that the health care provider making the diagnosis may or may not be well-qualified to make the call either for lack of experience or for lack of proper tools with which to diagnose. Our team became involved with the mother of one of our people, because she was showing signs of cognitive decline. He recalls that on one of his visits her common introductions to friends of hers had become “You don’t have a name…this is my son.” He and his sister started making calls to her primary care physician’s office to get a sense of what was going on. In his mother’s file the diagnosis was “organic dementia.” The doctor had further prescribed an FDA-approved medication called Namenda for his mother for that “organic dementia.” First, Namenda is indicated for Alzheimer’s disease (not “organic dementia”) and is to be used in combination with another drug for Alzheimer’s called Aricept. Now with his mother’s doctor on the line, our staff member questioned why the prescription for a condition for which his mother had not be diagnosed and that was to be used only with a medication she had not yet been prescribed? And at $350 out of pocket per month? The doctor mumbled something about whether the son wanted his mother to have an autopsy to diagnose the condition…or was it the money. Stunned at how behind the times the doctor was, the son simply said it was the cost and the doctor withdrew the prescription. Let me get back to the autopsy. A decade and a half ago scientists could not definitively diagnose Alzheimer’s until after the individual had died and an autopsy of the brain could be performed. Now, we have neurologists who can confidently diagnose the condition with MRIs, PET scans and blood tests along with cognitive tests in real time and an historical look at a patient’s records. In these neuro-psych exams, the specialist is able to not only identify the condition, but more importantly what can be done. As it turns out with our team member’s mom, she had vascular dementia, the end result of numerous “mini-strokes” over time that deprived more and more parts of her brain of blood flow. As his mother’s condition deteriorated she was required to move from independent living to assisted care and finally to a memory unit. I have noted before in other posts that there are no cures for Alzheimer’s; well, there was no cure for vascular dementia that had progressed as far as it had for our team member’s mom either. But she lived to be more than ninety years of age and had a quality life. In the end, her quality of life was greatly assisted by those around her who knew the source of her dementia and how best to care for her. And that is as happy an ending as one can hope. 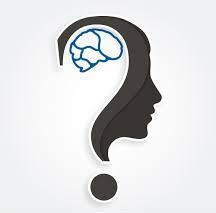 For the rest of this month I am going to be talking a bit more about how dementia often gets confused with delirium or depression, as well as Alzheimer’s disease and also address your questions. Please just email me your questions or concerns at info@creativecaremanagement.com . Charlotte Bishop is an Aging Life Care Advisor, Geriatric Care Manager and founder of Creative Care Management, certified professionals who are geriatric advocates, resources, counselors and friends to older adults and their families in metropolitan Chicago. She also is the co-author of How Do I Know You? A Caregiver’s Lifesaver for Dealing with Dementia. We all have heard report after report about how we should stay active, especially as we grow older. It builds endurance in general when we exercise for 30-45 minutes five times a week. It helps prevent body muscle loss if we exercise regularly – the “use it or lose it” notion. It can help stave off bone density loss if we exercise regularly, and we just feel better because exercise releases endorphins which are the “feel good” hormone of the body. While you are thinking about all of that, exercise will help … that is, exercise will help you actually think! Research recently reportedly by scientists from the University of British Columbia demonstrated that those who exercise just three times a week over a six month period scored substantially better on a measure call the Cognitive subscale of the Alzheimer’s Disease Assessment Scale (ADAS). Notice I said “substantially” better on this scale. We see a lot of studies that make it to the popular press that show differences between people who do X or Y or Z versus those who do not. This study actually took the scientific approach and compared two different segments of a group of 70 people who already early signs of Alzheimer ’s disease. That is, they demonstrated an measureable improvement in the subcortical ischemic vascular cognitive impairment among people who exercised those three times a week versus the other segment who did not. The researchers point out that it would take a 3-point improvement on this scale to be statistically significant, and their measured difference was just less than two points. But the non-exercise group was also receiving an educational program to stimulate them mentally plus normal care and they still fell behind on this scale. Who would turn down a nearly two point improvement…not a slower rate of decline – an actual improvement. The exercise group, however, did show significant improvement in their “6-Minute Walk Test” and their blood pressure. So if you pick up the exercise program you can expect to be more fit, perhaps even lower your blood pressure medication needs. Consider the cognitive improvement to be a bonus. One of the researchers also comments on how exercise has “minimal side effects.” You cannot say that about too many medications. I also see another hidden bonus in that with the added exercise, I can maybe have a portion of dessert. Now that is statistically significant! Charlotte Bishop is a Geriatric Care Manager and founder of Creative Care Management, certified professionals who are geriatric advocates, resources, counselors and friends to older adults and their families in metropolitan Chicago. Please email your questions to info@creativecaremanagement.com. It’s not just about forgetting how to get to where they are going. Older adults – even in the early stages of dementia – are simply at a much higher risk of accidents while driving. While adults over the age of 85 make up only about 9 percent of the population, they are involved in 13 percent of the fatal crashes and 17 percent of the pedestrian accidents resulting in death. Overall, the fatality rate of 85+ year old drivers is 17 times that of drivers 25 to 65 years of age according to the National Highway Traffic and Safety Administration. Is dementia a part of that? Yes, but only a part. Aging is a process that not so subtly erodes an adult’s visual capacity for judging distance, recovering from glare and distinguishing objects in dark or semi-dark conditions. Add to that the physical limitations that osteoarthritis can impose along with slower muscle reaction time and yes, memory deficits, and 85 plus year olds have the highest per-mile accident rates of any cohort beyond the teens. If you are a caregiver to someone within this older cohort - 85+ - this is not a mandate to talk about the car keys just yet, but it is important to be alert to what may be unfolding. Medical surveys of outpatients suggest that as many as 30% of older adults who have dementia may still be behind the wheel. What to look for? Dementia does not simply mean that an older driver gets confused in the parking lot at the mall or gets lost on the way home. Dementia in the driver’s seat translates into unexplained dents or scratches on the car. If you have occasion to drive with the older adult watch for difficulty in lane changes or lane wandering, challenges on turning or difficulty judging distances. 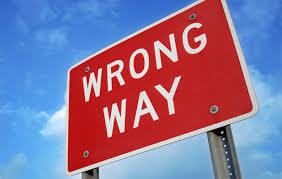 Accidents typically are the result of a growing series of mistakes and near misses on the road. Early stage dementia patients may actually be safe drivers, but you should talk to your older loved one’s primary care physician. They will not be able to speak to you about your loved one’s medical condition without sign-off from the patient, so that is a starting point. And appreciate that not all physicians are well-schooled in diagnosing dementia, let alone treating it. If you are concerned about dementia as it may be affecting your loved one’s driving, start by asking the physician about your loved one’s ability to pass a mini-mental exam or other cognitive tests such as the Clock Drawing Test that help assess executive function. If the physician is not able to help, ask about possible referrals. You may find that there are hospital providers who have actual testing programs or driving schools to help assess your loved one’s safety behind the wheel. If the decision is made that your loved one is not safe driving, begin immediately to explore your transportation options. Some older adults will be relieved that the stress of uncertain navigation is no longer a challenge, but others may view it as a significant loss of independence. Be prepared to be an empathetic listener. Steer clear of sentences that start with “at least” such as “at least you did not have an accident…” Picture what you might feel in a similar circumstance and go from there. Don’t try to gloss over the genuine loss your loved one will feel. What are the public transportation options? That may depend on how advanced the dementia is, because navigating train or bus routes can be as challenging as driving. Paratransit and chauffeur services may be an option if they are affordable, but be careful on vetting the services. Check with your local ombudsperson on aging for a secure option. Charlotte Bishop is a Geriatric Care Manager and founder of Creative Care Management, certified professionals who are geriatric advocates, resources, counselors and friends to older adults and their families in metropolitan Chicago. Please email your questions to info@creativecaremanagement.com.